The Story Behind PointClickFish.com – The Ultimate Fishing Network. 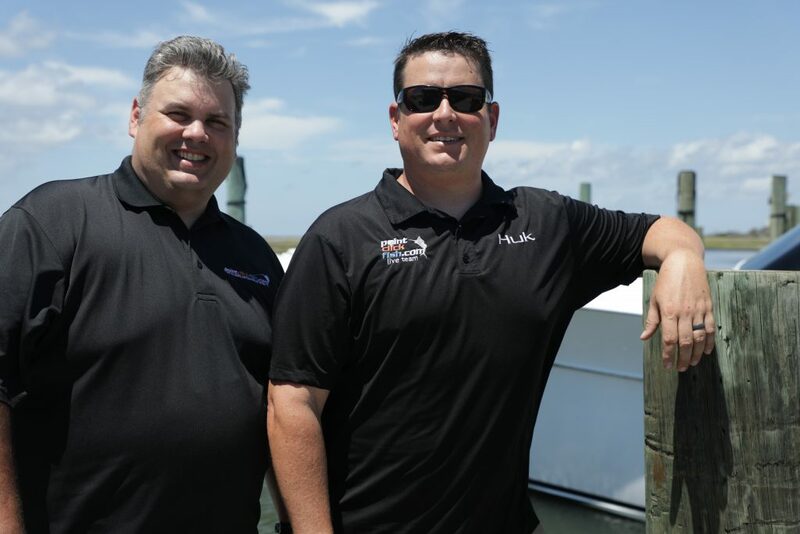 The Feimster brothers are avid anglers with a love for the water. Jay had a vision to create a website that connected the industry and the people who have a passion for fishing. He approached his brother Price about the idea, and the rest is history. The two brothers brain-stormed and consulted close friends. What started as a fishing website dedicated to fishing in their home state of North Carolina has progressed into PointClickFish.com – The Ultimate Fishing Network. A network comprised of websites, radio show, live streaming coverage, blogs and social media networks. Jay and Price are North Carolina natives who own Design Brothers LLC. Design Brothers LLC has designed, maintained, and created a web presence for large/small businesses, charter captains, nonprofit organizations, and even Hollywood celebrities. Over the past 22 years, they have gained knowledge of internet trends, social media, web design, and marketing. Jay has worked in the Maritime Industry for over 22 years and was a member of a SKA Yamaha Professional Kingfish Tour Fishing Team based out of Atlantic Beach, NC. Utilizing web design, video editing, and marketing knowledge, he was able to leverage technology to increase exposure for the team and sponsors. We knew the importance of creating a site that combined multiple internet technologies from the beginning. In order to reach a larger audience, Jay originally created and still runs the Facebook page for “North Carolina Saltwater Fishing.” The response and interaction in regards to inshore and offshore fishing along the Carolina Coast was amazing. After starting the original portal, a need was seen to expand the network. With encouragement from visitors, friends, and fellow anglers, the portal was expanded and PointClickFish.com was born! PointClickFish.com is the ultimate fishing network dedicated to fishing. It is a network of captains, anglers, and avid outdoorsmen and women. We utilize our website, radio show, live tournament coverage and social media technology to help charters, fishing teams, and anglers stay connected to, and up-to-date with, the fishing community. Our goal is to educate, inform, and inspire others to FISH! We work hard to establish partnerships and relationships with anglers, captains, and businesses to build a fishing information portal that allows the visitor to Point, Click, and Fish! PointClickFish.com is a proud member of the American Sportfishing Association and Southeastern Outdoor Press Association (SEOPA) .